The events of life punctuate existence: birth, christening, wedding or simply a birthday. 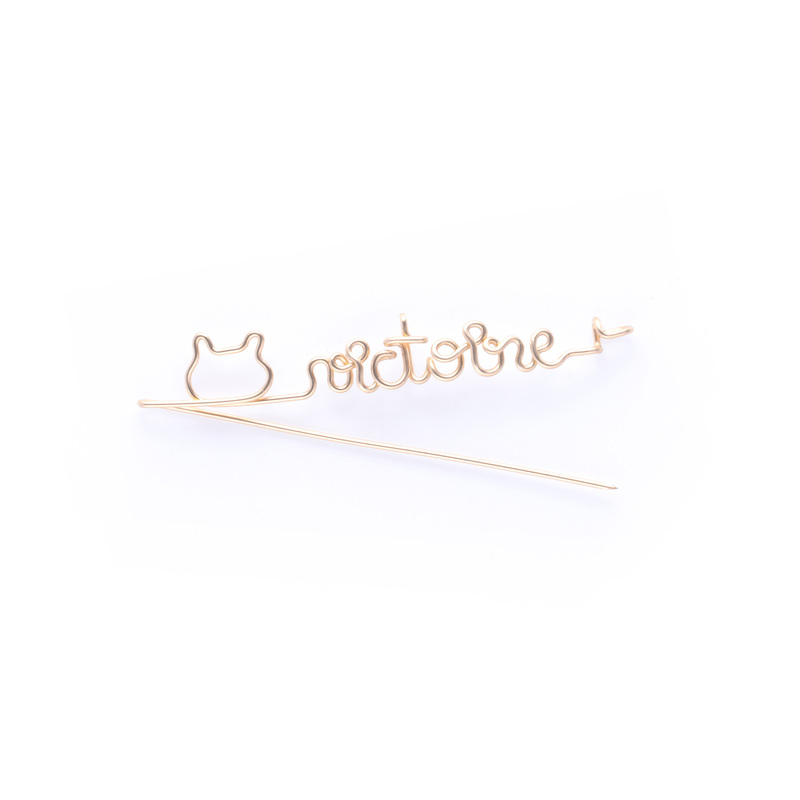 Atelier Paulin offers a range of personalized jewelry for children that fit the wrists of our sweet darlings. The birth gift is a symbolic pleasure for both the child and the parent. 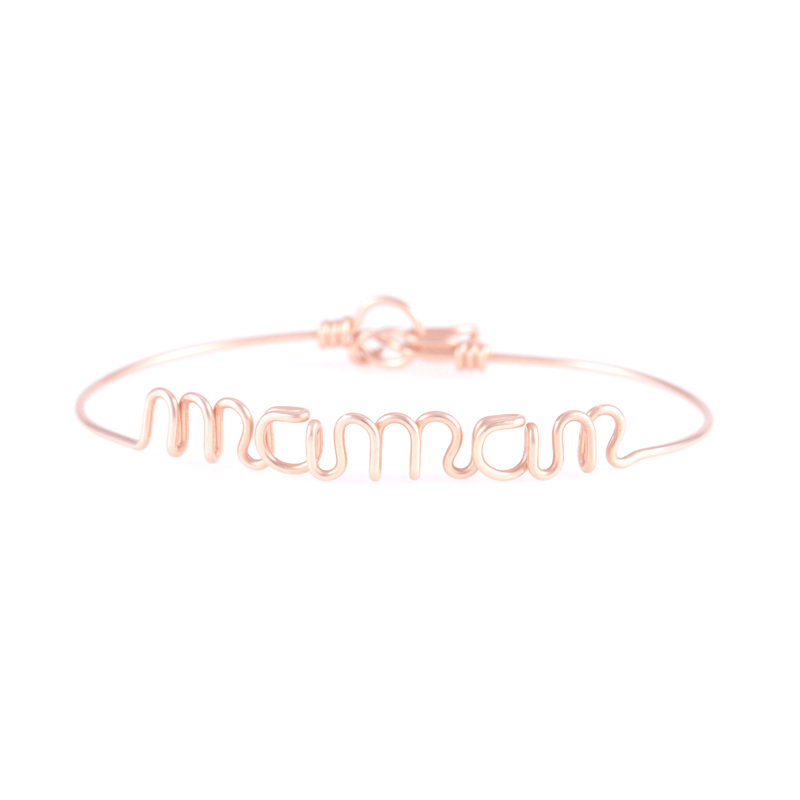 The traditional baby name bracelet takes the features of a modern and comfortable jewelry. 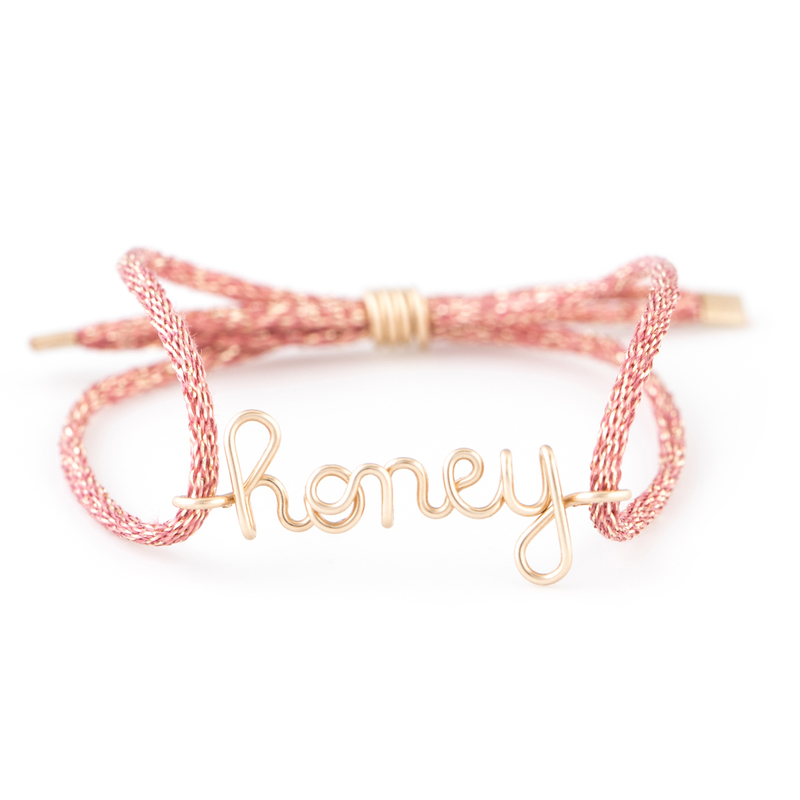 The personalized word on the jewel is adapted to an adjustable link of glittery lurex at once trendy and timeless! Children are an inexhaustible source of inspiration for Atelier Paulin. 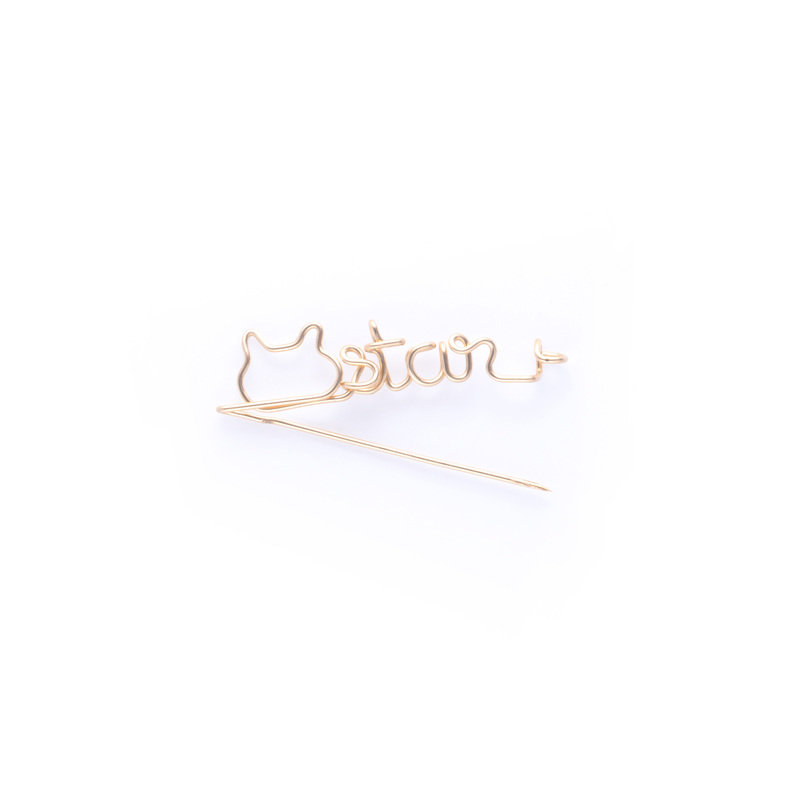 We created the Meow Fibula: a small custom brooch with a cat's head. 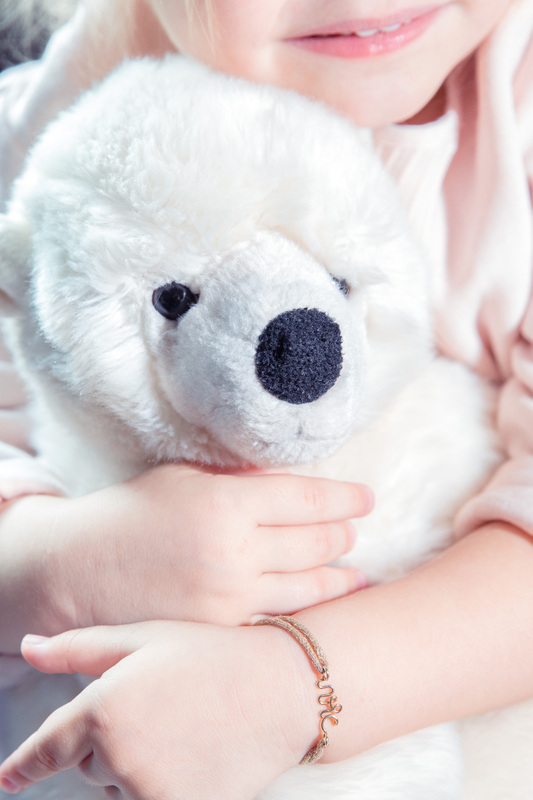 On a kit, a blouse, a garment, subtly mark the business of your child.